Foreign Ministry spokesman has dismissed the anti-Iran claims made by Moroccan Foreign Minister Nasser Bourita, describing them as fantasies dictated by Iran’s adversaries. 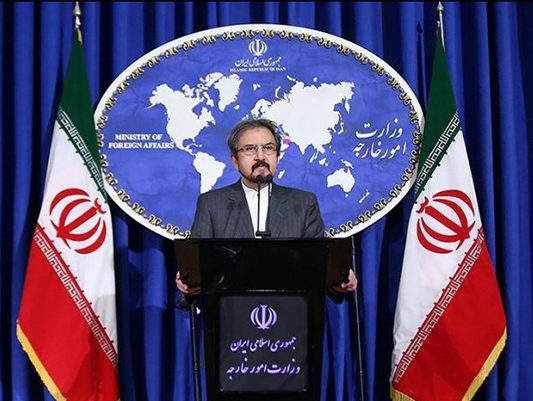 In a Thursday statement, Bahram Qassemi said the Moroccan officials’ insistence on repeating false claims as a pretext to cut diplomatic relations with Iran and raising baseless allegations is merely aimed at appeasing third parties. “The Moroccan Foreign Minister knows very well that the allegations are totally wrong and based on fantasies written by those who make such provocative moves based on their illegitimate interests and do not care about the real interests of the Moroccan people,” Qassemi said. “Repeating these allegations and insisting on them are futile efforts and will eventually harm Muslim countries,” he said. In a talk with Fox News published on Wednesday, Nasser Bourita claimed his country’s intelligence service discovered that Iran-allied Hezbollah movement has increased its supply of weapons to the Polisario Front rebel group. The Polisario has been fighting Morocco for independence since Spain left the Western Sahara in the 1970s. Bourita said the Iranian embassy in Algeria was used to fund and arm the Polisario. The Iranians, he said, are in part trying to destabilize the area due to Morocco’s good relations with the US and Europe.